Why did Titanic sink as quickly as it did? 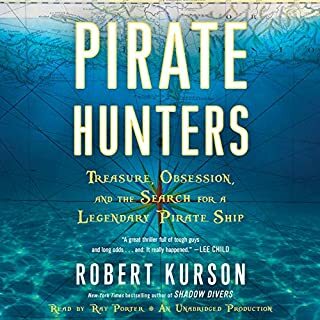 Two of the greatest wreck divers in the world, the heroes of Shadow Divers, solve the mystery of history's greatest wreck. Titanic's Last Secrets peers into the lives of scientists, financiers, adventurers, and industrialists to bring listeners a thrilling and revelatory work of history and contemporary adventure. Bernie Chowdhury, himself an expert diver and a close friend of the Rouses, explores the thrill-seeking world of deep-sea diving, including its legendary figures, most celebrated triumphs, and gruesome tragedies. By examining the diver's psychology through the complex father-and-son dynamic, Chowdhury illuminates the extreme sport diver's push toward - and sometimes beyond - the limits of human endurance. I enjoyed this book, but it has much content unrelated to the Rouses' deaths or even their life. The author frequently writes of himself, which can still be interesting. There is a factual disagreement with Shadow Divers about whom to evacuate by Coast Guard helicopter. Not sure which book to trust. This book seem to be more about the author and his embellished accomplishments then the Rouses. His speculation on what they did on their last dive was almost comical seeing his wasn't even there. Hearing the narrator take deep breaths at every sentence made this a painful book to listen to. The story of the Rouses is probably an interesting one, but it could have been done in about 1/2 the number of chapters actually included. An unforgivable number of unrelated sentences made this a difficult book to get through. The amount of repetition drove me insane. Some sub-stories were repeated 2 or 3 times. Explanations of equipment use and features - 5 or more repeats. The author either has amnesia or Alzheimer’s and the editor needs to be fired. I found myself continuing to listen only to hear about “the last dive” which turned out to a single paragraph. You would think that would be close to the end, requiring only an epilogue. No, this author needed 4 more hours of unrelated stories before he could put hi pen down. 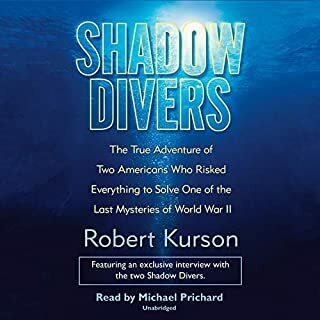 If you want another viewpoint of this story with a much better presentation, listen to Shadow Divers by Robert Kurson. I have read to book several times when I was active in diving. Even have it signed by Bernie. A shame they ruined it with a poor narrator. You could him almost gasping for air trying to keep up the tempo. Would you consider the audio edition of The Last Dive to be better than the print version? 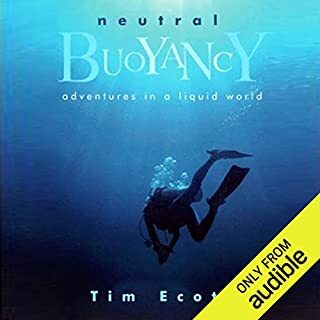 Considering how much specific material is covered in The Last Dive, I'd definitely suggest going with listening to the audiobook instead, as it can definitely feel exhausting to read about all the technicalities related to diving if it's not a sport you do yourself. Just make sure the narrator's breathing doesn't get on your nerves. What was one of the most memorable moments of The Last Dive? To me, the book became the most engaging in Chapter 7: Triple Vision and Chapter 8: Voice From The Deep, as the writer describes in excruciating detail what it's like to have decompression sickness, and what kind of thoughts someone has during and right after an experience like that. Did L. J. Ganser do a good job differentiating all the characters? How? L. J. Ganser's performance was fine for the material. 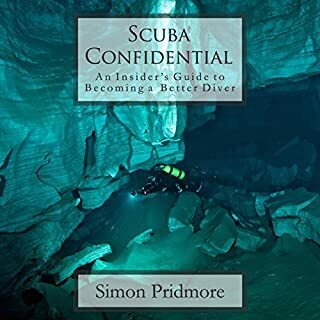 He manages to make the moments that matter compelling enough to draw you in, and does a good job clearly pronouncing the diver-terminology-heavy sentences that are spread throughout the book. I didn't get bothered by the heavy breathing that some other listeners complained about, and it actually might have added to the atmosphere to me, making me feel like I was right there with the divers at the crushing underwater depths. However, I do feel L. J. Ganser struggles to create proper individualistic characters, even with the core characters of the book, which is a problem when two of the major names - father and son, Chris and Chrissy - are so similar. It's definitely not a book I would want to listen to all in one sitting. It might be because it's rather packed with its nearly 17 hour runtime, but even if it were shorter, the material feels too repetitive to sit through in one go. Characters dive again and again, often dealing with problems underwater, and sometimes face the aftermath. This loop of similar feeling dives brings the pacing to a grinding halt somewhere 1/3 in the book when the writer has laid out all the unsettling problems that occur in the deep sea that affect the decision making of a diver, like the martini law and artifact fever. At that point there's not much new material to be educated about, and so the dives start to feel a bit too similar for a couple chapters. It's even more jarring right after the eulogy of the father and son - what felt like should've been the end. 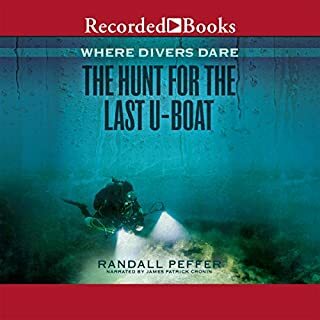 We continue to follow some of the other divers facing more potential problems, and only after another hour there is an end-goal in sight, when some of the divers become obsessed with finding the identity of the German U-boat that the father and son have died to find. It's definitely a "pick up for a chapter every once in a while" kind of audiobook. 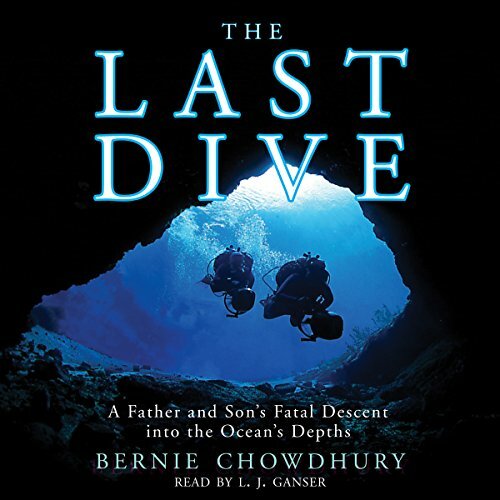 What (pleasantly) surprised me most about Bernie Chowdhury's The Last Dive, is that despite the Father-Son dynamic of Chris and Chrissy Rouse clearly being the focus of the book, the story of what happens to this duo takes a back seat halfway to give way to the general dangers of decision-making at great depths. It becomes about the psychology of risk-takers, and how a single wrong act of judgement could be the last dive for us all. Loved every paragraph of every chapter. The author writes about somewhat technical details of sport diving in ways that explain while capturing attention. A great review and story of people and their willingness to encounter fear and the potentially fatal. Made me do some self reflection. Great read. Excellent book about diving and the tragedy of Chris and Chrissy. 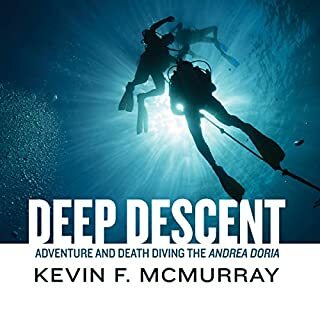 This book explains the dangers of deep wreck diving and the history of the sport. Very engaging--I never lost interest. Thorough --if you like adventure stories you will like this and learn a lot about diving. Narration was ok but you could hear him taking deep breaths before reading which was kind of weird. I highly recommend this book. Don’t think I have read anything which explains the risks and ultimate disregard of the same so well. Passion for diving but without sugar coating. A human and tragic story well written. Loved it. As a professional diver, it was interesting to hear this story which also explains the roots of many more modern limits and techniques.